In this post, we cover advanced techniques using Chrome DevTools, which will further improve the skills you have obtained in the first part of this series. As we learn the new skills, we will experiment with some basic examples with the Kendo UI widgets and, at the end of this post, you will find a real-life example to practice your newly obtained skills with the help of the jQuery Grid. Intelligent code completion and auto-complete are popular features in IDEs that improve developer productivity. 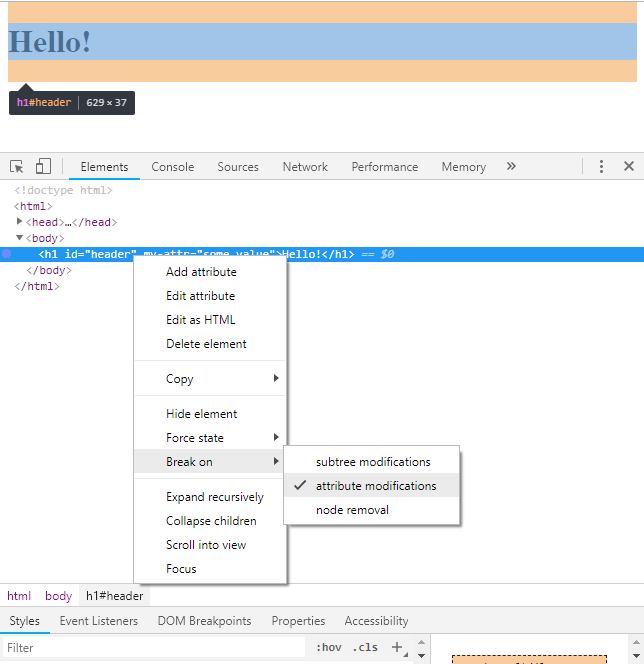 In Chrome 68, the DevTools team decided to incorporate similar features into the Console. Specifically, Eager Evaluation, Auto-Complete After Function Execution and Argument Hints. This feature relies upon Eager Evaluation and the same limitation applies due to that—no auto-complete is available if the function has any side effects. Then use the Console API and save the expression to a variable as var lastEvaluatedExpression = $_;. This feature provides a pop-up that displays the eligible arguments you can pass when you write the code to invoke a function in the Console or open/hover over its brackets. In the previous section, I referenced a variable, $_ without explaining what it does. It isn't magic; it's part of the built-in command line API. 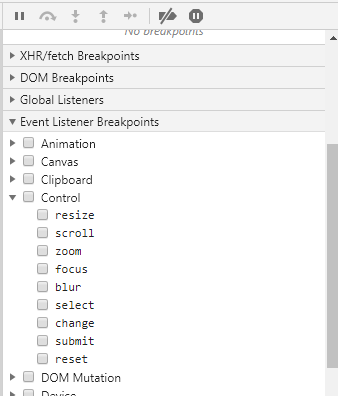 Chrome DevTools will assign objects and expressions to a list of pre-defined variables. For example, the expression, 40+2 will evaluate to 42. For convenience, I may wish to access this result without having to remember a variable name or the expression that created it, or spending 7.5 million years calculating it. With Chrome DevTools, you can now simply use the $_ variable. The command line API in Chrome DevTools saves some objects and expression results to predefined variables. Other useful shortcuts the Console provides are $0, $1, $2, $3, and $4. $0 references the last element selected in the Elements panel, $1 references the previous element, and so on. This can be very useful when you need to get a reference to the DOM element that represents a control or widget and you would like to quickly check its available members. Tooltips can be tricky to inspect because they disappear after a period of time. Inspecting other kinds of auto-hiding elements—like those that are displayed through a user interaction (i.e. mouse click and drag)—can be just as difficult. Historically, I've had to use some ugly code to reference and inspect them. Enter setTimeout() and the debugger. The responsibility of setTimeout() is to execute a specific logic after a given period of time. Another feature is that it reorders the execution of the functions. This comes in handy when you need to execute a function after some quick animations (see Why is setTimeout(fn, 0) Sometimes Useful?). Once we better understand what happens when we use setTimeout(), we can combine its power with the debugger statement so that we can activate the debug mode when the auto-hiding element is shown without worrying that it will disappear if we blink. This image (above) features the drawing API and jQuery Tooltip widget of Kendo UI. Let's explore other approaches to break the page execution and check the current values of the variables. These break when the request URL contains the string configured for the breakpoint. To toggle this feature: expand the XHR Breakpoints pane in the Sources panel, click the Add breakpoint button and enter the desired URL part. These break when the desired mouse, keyboard, device, animation, etc. event is fired. To toggle this feature: expand Event Listeners Breakpoints in the Sources tab and check the desired (category of) events. These break when a handled or unhandled exception is thrown. To toggle this feature: click the Pause on Exception button in the Sources tab; when these exceptions are enabled, an additional option to Pause on caught exceptions is available. Have you ever received a ReferenceError (saying that the function is not defined) while trying to execute an already declared function in the browser console? You are not alone, it happens to everyone. The contexts are clearly visible in the Kendo UI Dojo, which we will use to test the provided tips. You were waiting for this while reading, right? Here is the sample task that would involve most of our newly obtained skills. By now, you should feel confident when working with Chrome DevTools—no CLI magic, auto-hiding elements or complex debugging scenarios can stand in your way. We've shed light on them all and defeated the dark side. Jokes aside, I hope this article was helpful and solved at least one difficult question you had—let me know. Do you know other tips and tricks? Please share (because you care) in the comments section below! Peter (@p_milchev) is a Tech Support Engineer working with the AJAX, MVC and Kendo UI components and developer tools. Apart from providing support services, he also enjoys helping the developer teams with bug fixes and improvements for the UI controls. In his free time, he likes practicing martial arts, playing football and snowboarding.